…While there is some very good work within, there really isn’t anything so outstanding that I’ve added the author to my ‘watch’ list. I think I enjoyed some of the essays by the established authors and artists more than most of the fiction here. Of the stories, “Switch,” the first story in the collection, by Steve Pantazis is a nice beginning and establishes that this will be a strong collection. The story is a sci-fi thriller in which an embedded drug allows for a direct link to the internet. It’s a nicely written story, though the ‘direct-link-to-internet’ is not an uncommon theme anymore — the Nexus series by Ramez Naam has done it exceedingly well. “Twelve Minutes to Vinh Quang” by Tim Napper was one of the stronger stories for me. It was another thriller and perhaps I was in the mood for this sort of sci-fi? If you’ve followed my reviews much, you will know that I do not like books that are all about form rather than story, so it may comes a surprise that I liked Scott R. Parkin’s “Purposes Made for Alien Minds” as much as I did. The story begins with: “I think five word thoughts. I express five word sentences.” And he does all through the story. It’s clever and Parkin’s does it well. The short story is EXACTLY where form should be experimented with – not the novel. Other highlights in the book, for me, were L. Ron Hubbard’s essay “Art”; Orson Scott Card’s “Fiction without Paper”; “Inconstant Moon” by Larry Niven; and Bob Eggleton’s “The Illustrators of the Future” and “On the Direction of Art” which was the first time I’ve ever really gotten any insight to the art direction process. I was a little less excited by the artwork. Daniel Tyka (who is featured twice) and Greg Opalinski are the only two who stood out. Others were fine, but it’s clear why this is an anthology of new, or raw, talent. This book was certainly worthwhile and a good mix of new writers and established authors. Looking for a good book? 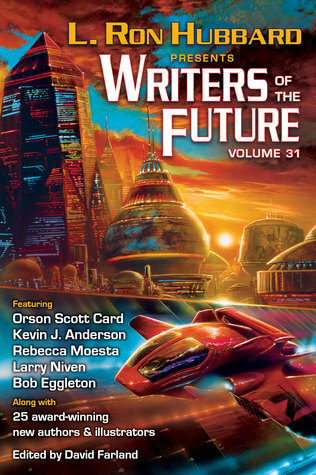 Writers of the Future, Volume 31 is a decent collection of new talent (with some established authors for balance) and is nice if you’re looking to see who is on the rise, but is otherwise a rough assortment. 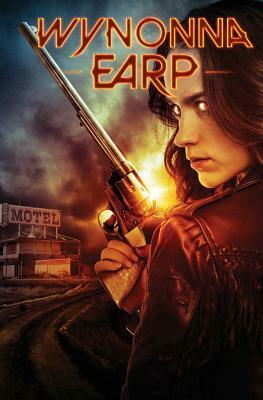 I watched the first few episodes of Wynonna Earp on SyFy and enjoyed it more than I thought I would. I mean… a modern-day western gun-fighter battling the supernatural? Really? A cross between Dresden Files and Gunsmoke? But it worked, even if the stories I saw were a little simple. I hadn’t realized, at the time, that the show was based on a comic book series (but of course it was…is there any ‘original’ television?) so when I saw that there was a graphic novel available, I thought I’d give it a try. Unfortunately, the stories here seem even more simple and the art is generally weak and cartoony. Wynonna is a great character. She’s the descendant of Wyatt Earp and is a special agent for a division of the U.S. Marshalls known as The Black Badge division. 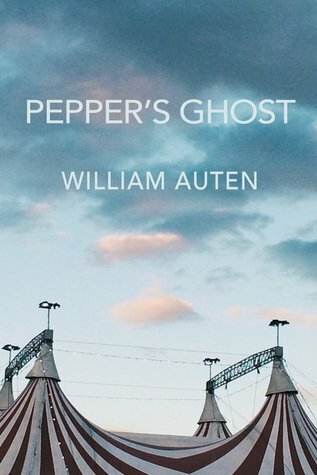 Wyatt, it appears, also fought supernatural creatures, and his six-shooter is one of the only weapons that will actually send a demon back down to hell. So it’s an interesting character with a pretty good set-up, but there’s an obvious lack of world-building here. These stories are like reading an issue of Archie and Jughead. Things just happen and the reader has to accept it (or not) because no background is going to be built up. In each story, Wynonna and her associates face off against some supernatural attack. End of description. In one case, it’s zombies in a shopping mall – except the zombies are created by and obedient to a deranged doctor. In another story, Wynonna goes back in time to Tombstone, Arizona and fights with her ancestor. The stories here are just dull and the art (mostly) is really awful. I actually regret reading this because now I’m not sure I want to watch any more of the episodes. After all, if the series is based on a comic book and the comics are this bad, will the series be any good? I may watch the show, but I’m not likely to read any more of the comics/graphic novels. Looking for a good book? Wynonna Earp, Vol. 1: Homecoming is a graphic novel that just falls flat in every aspect. Mysteries by Scandinavian authors are very popular. Reykjavik Nights is a prequel to a series by Arnaldur Indridason featuring his detective Erlendur when Erlendur was still just a street cop and not yet a detective. I have not read any of the other books in the Erlendur series so I can’t comment on how this fits in the storyline, but it seemed like a good place to start. Two different cases in the Icelandic city of Reykjavik have gone cold and are written off as accidental. Erlendur knew Hannibal, the homeless man who was found drowned in a peat bog. Hannibal had his problems but Erlendur isn’t 100% convinced that he would have drowned this way, even if he had been drinking. And when Hannibal’s sister asks Erlendur to look into this, he does (on his own time). About the same time, a woman from a very different social circle goes missing on her way home from a club. She’s assumed drowned. There is no reason to connect these two incidents, and no one does. Except for Erlendur, who slowly and methodically puts some pieces together to see a possible connection. What we see in this book is a young cop, Erlendur, who cares. It would be easiest to write off the death and disappearance as accidents, just as most everyone else does. But Erlendur is still young and still an idealist. Perhaps he stays that way through the other books? We see Erlendur come in contact with some of the criminal elements of Reykjavik and stand tough against it. His investigation (on his own time, it’s important to remember) helps bring down a large drug smuggling ring, but it’s a resolution to the death and disappearance that currently drives the young policeman. The story and location (the location is a character here) is bleak, and the progression of the story is methodical (ie: slow), but it is interesting to take part in this by getting a direct POV through Erlendur’s eyes. He is persistent and has great intuition, which would appear to pay off given the popularity of this series. Even with a ‘positive’ ending (can it be positive when there is death?) this book maintains a dark atmosphere, but Indriðason keeps us interested with his strong portrait of the idealist policeman Erlendur. Looking for a good book? 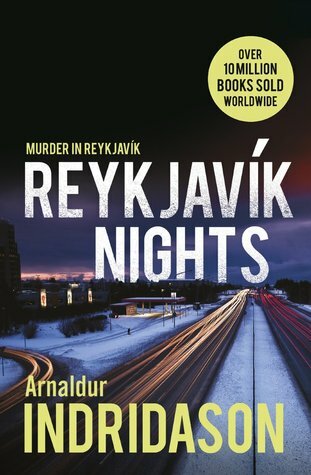 Reykjavik Nights is a steady, fascinating mystery set in the bleak, dark nights of Iceland with a cop destined for detective, written by Arnaldur Indriðason. This is my third Ivy Meadows Mystery (and third in the series) and I find these books to be just plain fun. Ivy Meadows is an amateur actor and an amateur detective, working for her Uncle Bob’s private investigations firm (Duda Detective Agency). This time the agency has a special client … a cruise ship line. There have been a rash of thefts aboard a series of cruises that are dedicated to a literature theme. Bob goes aboard as a wealthy rancher and Ivy goes undercover in the role of ‘Nancy’ in an unusual version of Dickens’ “Oliver Twist.” But things get off to a horrible start when Ivy discovers her ship-board roommate dead and stuffed in a closet. The list of potential suspects grows rapidly and the apparent gold-digger who’s attached herself to Bob, and who is clearly hiding something, has Ivy worried. But she should be more concerned for her own safety, given the constant mishaps following her. I love the concept for this series and author Cindy Brown really tells a delightful tale. There’s some anxiety and excitement in the mystery, but there’s more than a fair amount of humor, usually surrounding Ivy’s stage time. Here she has to perform as an aerial artist in flowing silks which might be tough enough. Now complicate that with the fact that she’s on a cruise ship and suffers from a fear of the open water! The theft and murder investigation is nicely complicated for this typically light read, but just as with the other two books, it is Cindy Brown’s characters that really shine. Everyone we meet seems like a real person with their quirks and foibles emphasized. We chuckle at what they get in to, we don’t really fear the ‘bad guys’ too much, and we have a generally good time. And what more can you ask of a book? 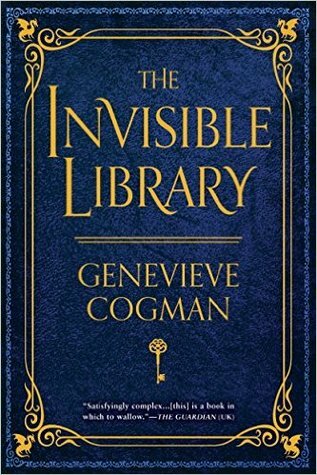 You don’t need to read books one and two to get a feel for the characters, but you will probably want to just because it’s a good time. Looking for a good book? 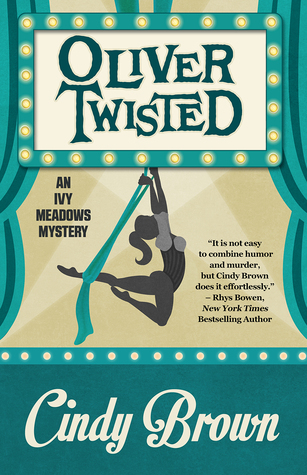 Cindy Brown’s Oliver Twisted is a fun, funny mystery that will leave you asking for “more” at the end. One of the jobs of the chief gardener at Rockefeller Center is picking out the massive Christmas tree to have in the plaza for display to the public. It’s all just part of the job and most of his work takes places well before the Christmas season so it doesn’t bolster his appreciation for the holiday spirit. The gardener finds his perfect tree on the grounds of a convent. 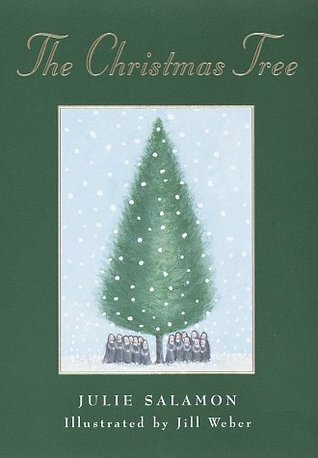 When he approaches the Mother Superior to make his request for the tree, he is told that he will have to take it up with Sister Anthony – a nun (formerly an orphaned girl by the name of Anna) who has a special relationship with the flora on the grounds and has taken to referring to the Norway Spruce in question as “Tree.” It takes a bit of convincing and explaining but the gardener gets more than he bargained for. I was not familiar with this story before reading this reissue, but I’ve come to understand that it’s a bit of a modern classic. It definitely has many of the things one looks for in a feel-good holiday story. Our main characters come to learn something about themselves and their place in the world and how they can have a positive impact on others. It is interesting to note that the book starts out with the Rockefeller Center gardener speaking to the reader, and it is his story that we follow, but if you read the Goodreads description of the book, it is about a little girl named Anna who becomes Sister Anthony and who has a special bond with nature and one particular Tree. The book is barely more than 100 pages and yet it is indeed about both the Rockefeller gardener and the orphan girl Anna/Sister Anthony. This is one of the few times that you will see me write this … this book needs to be just a little bit longer. I felt just a little bit short-changed on the story bout Anna/Anthony. I was drawn into the story by the writing and because I was curious to see how we would get to the end (we see the very end of the story at the beginning of the book, so I know from the outset that this is about the journey to get there) and while it is definitely a sweet, nearly touching story, it could have gone just a little deeper to have a fuller impact. This newest edition has sweet illustrations by Jill Weber. I can understand why this has become a popular story to read during the Christmas holiday season. It is brief and hits all the right notes. It is worth making it a tradition to read this story each year. Looking for a good book? The Christmas Tree is a touching holiday tale by Julie Salamon and is might just have you making a new holiday tradition to read this novella each Christmas.